This was my first handgun scope, so I have nothing to compare it to. 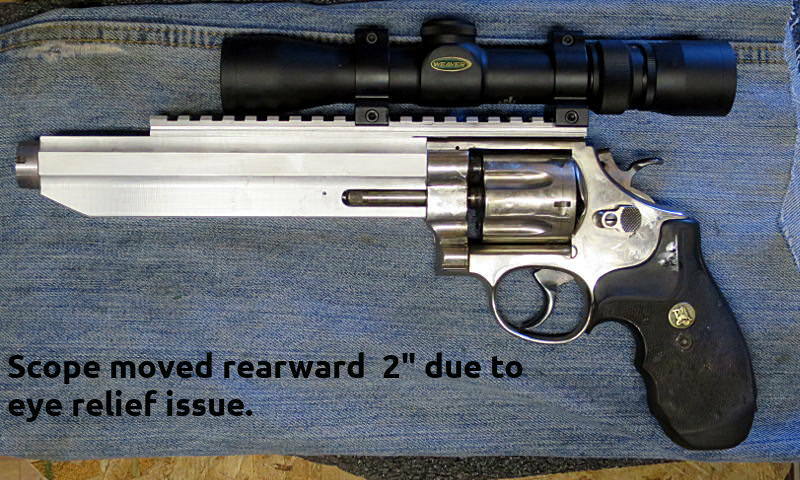 I chose it because it is one of the few scopes -- besides the much more expensive Leupolds -- that is reputed to hold up to magnum handgun recoil. The glass is quite decent and the click adjustments seem to work OK. My only complaint so far is that the eye relief seems intended for midgets with stubby little arms. Set at 8X, the optimal eye relief seems to be at 16". Problem is that when I hold a handgun using my natural hold while standing, the distance between my eye and the rear sight is 27". Oops! SItting at a bench and leaning forward, the distance between my eye and the rear sight is 20". 20 inches is still not equal to 16 inches. If you turn the magnification down, the eye relief is much more forgiving. 4X works well for me, and 6X is tolerable at the bench, but I can't use 8X unless I use an unnatural, uncomfortable hold with my elbows bent and my wrist crooked.